Available as a 6 disc set, this release bundles together all twelve episodes of Series 10 along with the 2016 Christmas special. Includes a limited edition set of lenticular cards - only while stocks last! 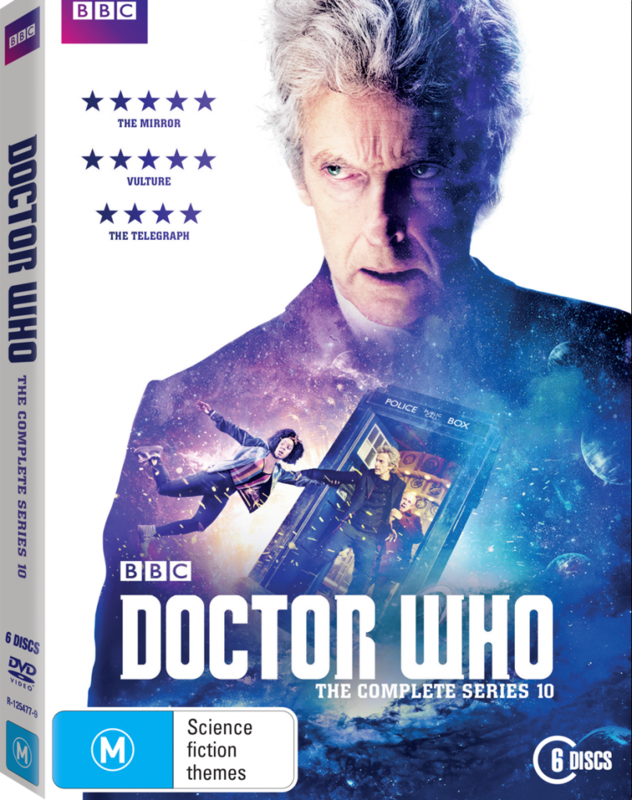 Special Features Include: Doctor Who Extra - The Return of Doctor Mysterio, The Doctor - A New Kind of Hero, Knock Knock binaural sound, Becoming the Companion, Out of This World, : - ) , ... Who's There?, Rona Munro - A Modern Classic, The Finale Falls, Inside Looks, Deleted Scenes, Audio Commentaries, Doctor Who The Fan Show - After Shows, and Doctor Who - The Finale Countdown.